Report cards are those often-dreaded slips of paper from back in the school days, right? Well, this here is a modern-day report card of sorts and it's focused on plug-in vehicles. Yes, there's a big fat "F" here...oh that dreaded mark. We Welcome EVs! Please Enjoy Your Stay. Southwest Energy Efficiency Project (SWEEP) is responsible for this report card, which grades 6 Southwest state based on several catgeories related to plug-in vehicles. The categories are clearly listed above, as are the points obtained by each of the six states. Basically, the higher the amount of point, the better the grade. 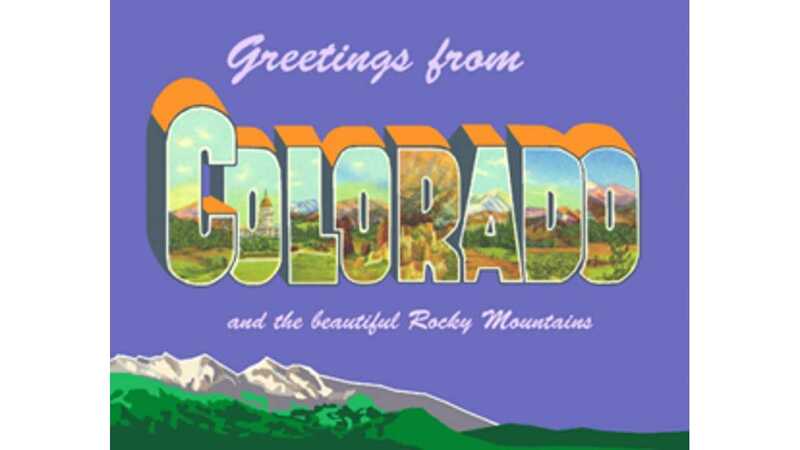 "Due to the state's legislative leadership and its Governor, Colorado has made great strides toward more widespread adoption of electric vehicles. Policies are important tools for addressing barriers to EV ownership and reaping the benefits of cleaner air and much lower fuel costs." 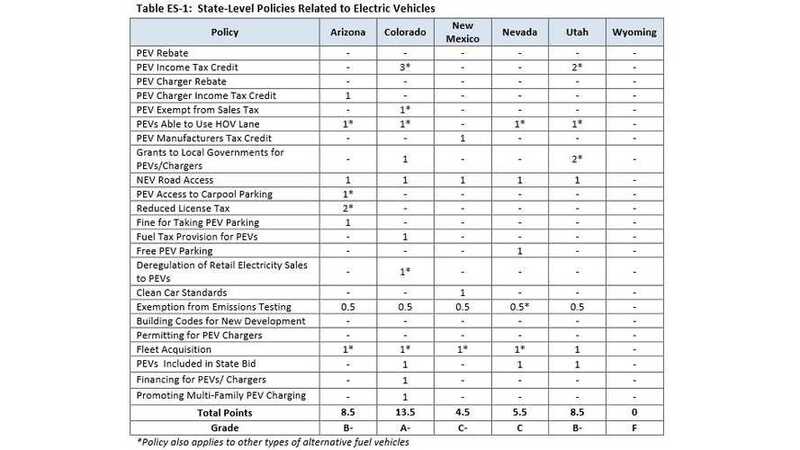 With more EV policies (12) than any other Southwest state, Colorado leads the way. Most notable is Colorado's up to $6,000 tax credit, which was just extended out to 2021. "The reality is that many consumers are not able or willing to pay the higher initial cost of EV ownership, so tax credits of this magnitude help level the playing field for them." 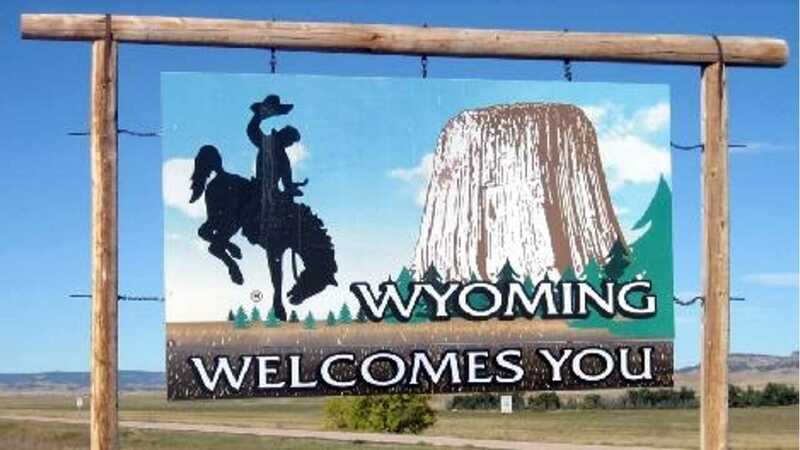 Of the other states on the report card, Arizona and Utah received a B-, Nevada and New Mexico received a C and C- respectively, and Wyoming, with no existing plug-in related policies, received that failing and dreaded F.
SWEEP says that California would be an A+ state using the grading system presented here. California's monstrous commitment to plug-in vehicles puts it head and shoulders above the other states in this great nation.